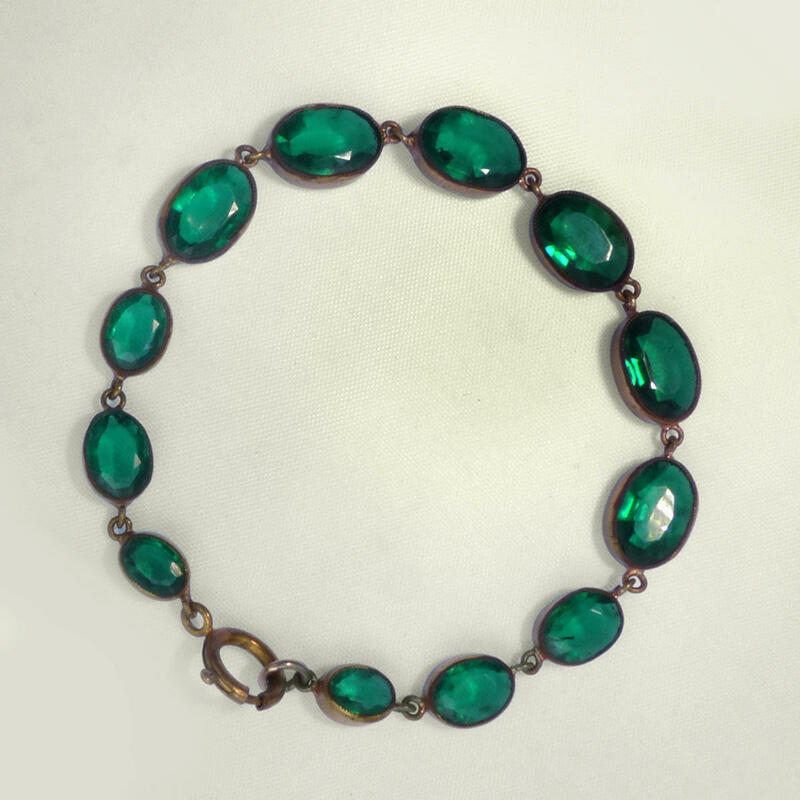 Stunning late Victorian unfoiled green paste bracelet in a simple yet elegant brass setting. Each glass tone is hand set with a millgrain bevel. 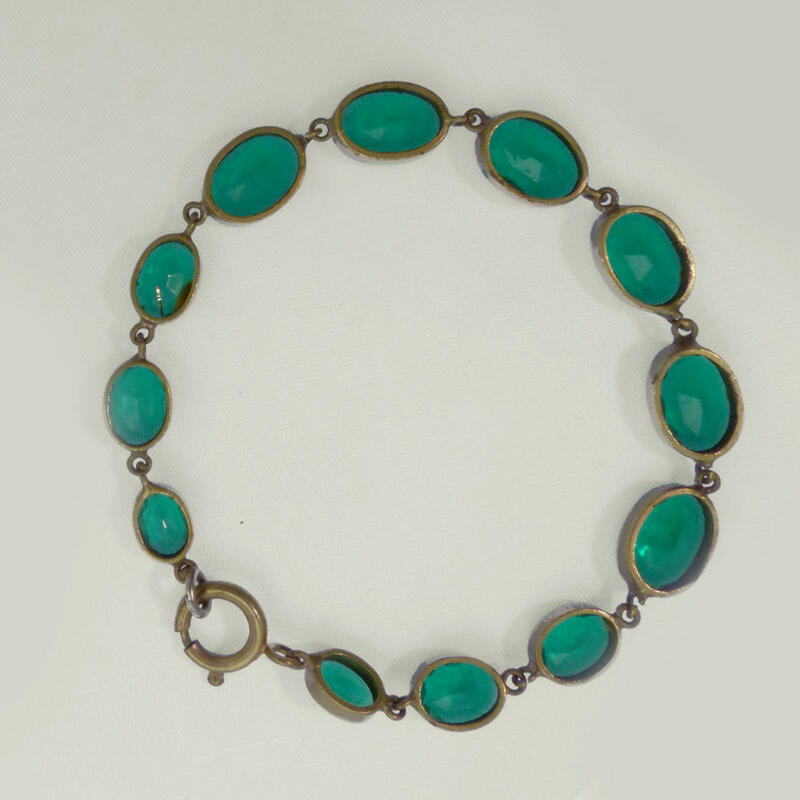 New synthetic dyes developed during the late 19th century popularised surprisingly bright colours - typified by this rare bracelet. Coloured paste from this era is is extremely rare and highly collected. Possibly made with Vauxhall glass.